Jared Sullinger is averaging 9.3 points and shooting 56.5 percent off the bench. WALTHAM — When the bright lights came on and he was pressed into duty, Jared Sullinger produced in the opening three games of the season, one of the few bright spots for a Celtics team that has struggled offensively. And he now knows he will be a restricted free agent after his agent, David Falk, and the Celtics were unable to reach terms on a contract extension. So this has become an even more significant year for Sullinger, who can test his market value next summer. He’s off to an impressive start, averaging 9.3 points, 6 rebounds, and 1.7 assists, and shooting 56.5 percent coming off the bench. Two advanced statistics illustrate Sullinger’s early impact. He has a career-best 18.7 player efficiency rating. And the Celtics have allowed an average of 94 points per 100 possessions he’s been on the floor (that number was 103 last season). Sullinger insists he had no doubts about his skills after a summer’s worth of work with former NBA player and workout guru John Lucas, although he may not have lost significant weight. “I really don’t give a damn how many minutes I play,” said Sullinger. “I know the minutes are limited, so you go out there and give it your all. Just knowing any given second you could come out of the game, just trying to make the most of your minutes. The detractors and doubters — some of whom are members of his family — have motivated him. “A lot of people doubt me, and my family semi-doubt me, you kind of have a chip on your shoulder and you just want to prove everybody wrong,” he said. “I’ve been going on my fourth year and things haven’t changed. People still say the same things about you. It’s been like that since high school. It’s been like that since college. 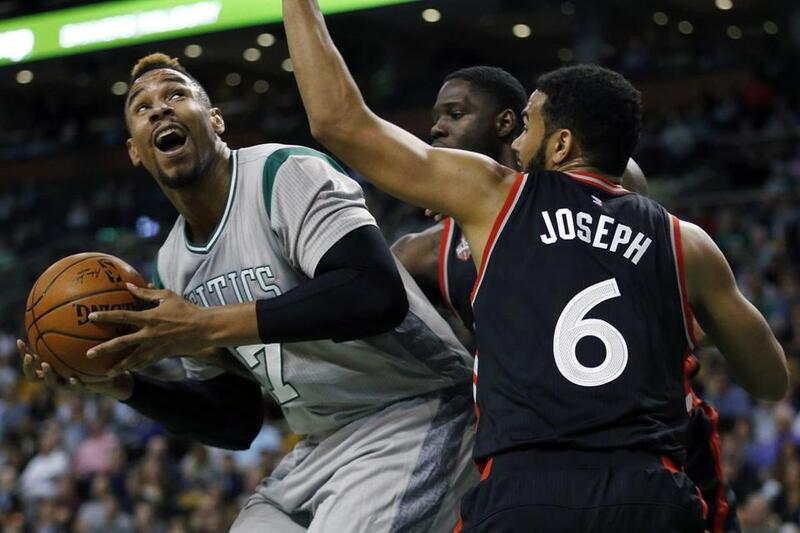 Celtics coach Brad Stevens has noticed Sullinger’s marked defensive improvement. “I told him I think it’s the best defensively he’s played since I’ve been here,” Stevens said. The Celtics are dealing with their first injury issue of the season, as shooting guard Avery Bradley sprained his right thumb in Sunday’s loss to the Spurs and is questionable for Wednesday’s game against at Indiana. Bradley got his hand caught in the jersey of San Antonio’s Kawhi Leonard on a screen, bending his thumb back, as the Celtics were mounting a late rally. Bradley, like the rest of the starters, is struggling offensively, averaging 11.7 points on 37.1 percent shooting. “We need to continue to share the ball,” Bradley said. “Shoot easy shots. I feel like we are making everything harder on ourselves. We’re one pass, one shot. It should never be that way. Our strength in the first unit is sharing the ball. The starters are shooting 36 percent from the field. “There’s things we can do to help each other space a little better,” said Stevens. “I think we can make tweaks to how we can play together. We need to continue to get better at some of those things. “For the most part, I felt good about the quality of shots in the first three games, but I do think there are ways to increase our overall percentage.